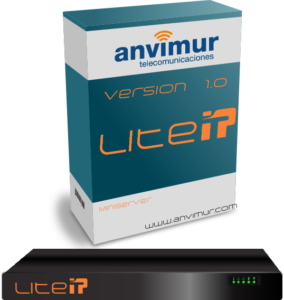 Lite-IP is a solution developed by Anvimur Telecomunicaciones for the point to point sending and receiving of an IPTV channel and is suitable for content sharing. Lite-IP is ideal for operators to be able to share their local channels with other operators over the Internet in a simple and professional manner. Itis 100% compatible withTrue-IP Middleware. Lite-IP is store don a low cost mini-server with two Gb network boards. Lite-IP allows the operator to share an audio/video IP stream over the Internet or Local Networks. Supports MPTS (Multi-Programme)input streams, SPTS output.